I can remember that first Thanksgiving after our family had gone grain-free (read about how to get through the holidays on a grain-free diet here). 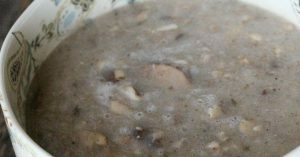 I was determined to remake all of our favorites, including all the traditional Thanksgiving casseroles, but I had a problem: finding a cream of mushroom soup recipe that was grain-free. 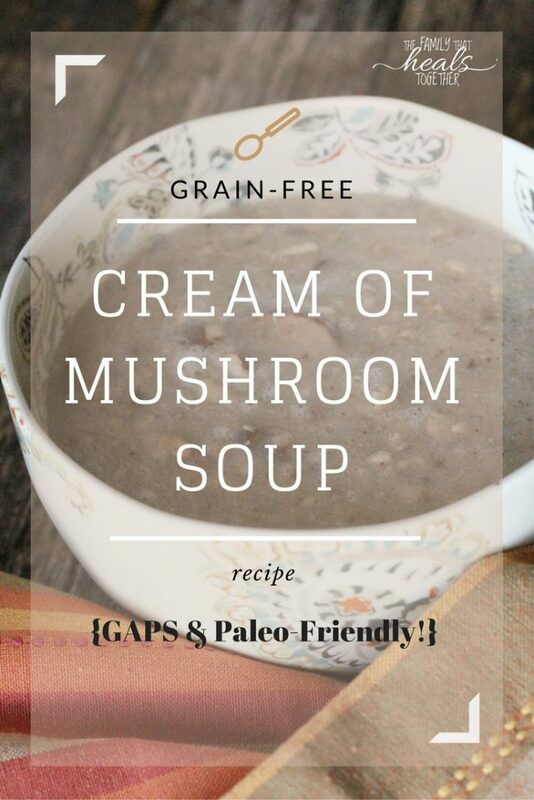 It turns out you can make anything from anything, so even last year when we were on the GAPS diet at Thanksgiving, I was able to create all of our favorite casseroles by creating a grain-free cream of mushroom soup recipe that worked perfectly. I’ve used this cream of mushroom soup in green bean and broccoli rice casseroles, and my family has never complained about missing the msg-laden cream of mushroom soup of years past. Keeping things healthy and grain-free through the holidays has never been easier with so many great recipes available, but it can be hard to sift through them. I usually have to tweak recipes based on my family’s individual needs, or I’m disappointed with the way something turns out, OR, I just can’t find a recipe that works for us. That’s why I created Nourishing Holiday, my new grain-free, gut-healing digital cookbook with over 50 recipes appropriate for GAPS, primal, and paleo diets. Nourishing Holiday is half price for a limited time, so go grab it here now! Do you know someone who could use a grain-free cream of mushroom soup recipe? 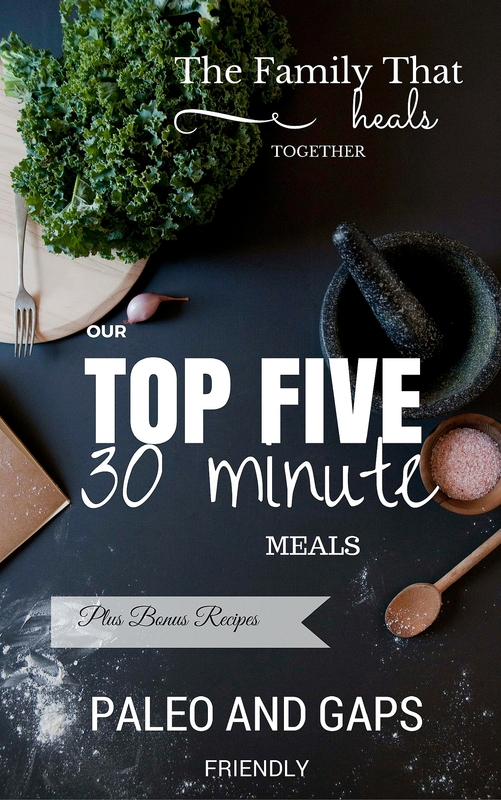 Share using one of our links for your food-savvy friends! Simmer chicken stock and cauliflower florets in a large saucepan over medium heat about ten minutes, until cauliflower is tender. Allow the stock to cool down a bit before pouring the stock and cauliflower into a blender. Add garlic, salt, and pepper, and blend on high until smooth. Transfer back to the saucepan and add the mushrooms. Simmer for half an hour before removing from heat to cool.